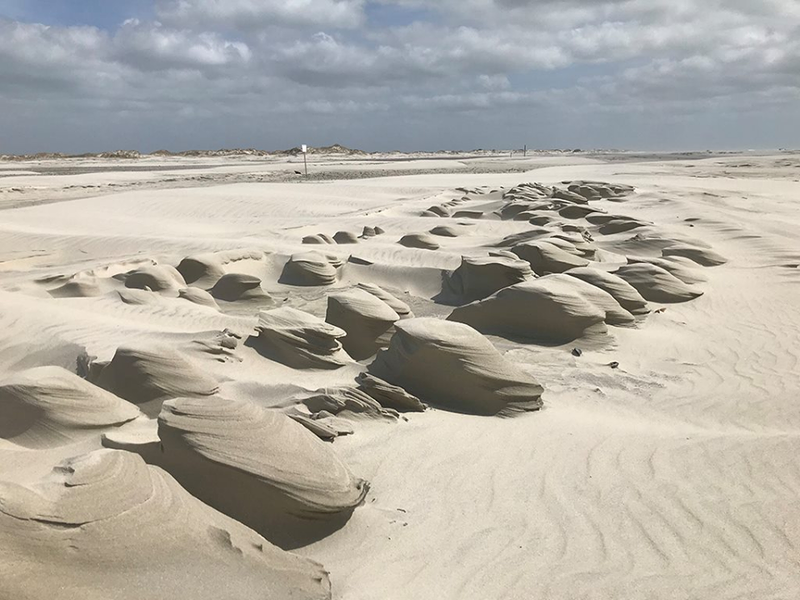 SHACKLEFORD BANKS – The little rover left tire tracks in the sand as it rumbled across the beach on the moonless summer night. Anna Windle followed behind, keeping an eye on the rover while shifting her backpack full of field gear. It wasn’t a typical evening on Shackleford Banks, where wild horses are more likely to roam the beach than robots. As Windle scanned the shoreline though, she wasn’t looking for horses. Windle, a master’s student at the Duke University Marine Lab in Beaufort, was at Shackleford leading a study on sea turtle nesting and artificial light. Her results indicate that nest density is higher on darker beaches – useful information for North Carolina towns trying to promote sea turtle conservation. Windle is a member of Johnston’s Marine Robotics and Remote Sensing, or MaRRS, lab, which is at the forefront of using automated technology to explore ecological questions. She is the first to collect high-resolution light measurements from a sea turtle’s perspective. “Anna’s work highlights the threat of nighttime artificial light that reaches beaches during sea turtle nesting and hatching seasons,” said Matthew Godfrey, sea turtle biologist for the North Carolina Wildlife Resources Commission. Sea turtles that nest on North Carolina beaches include loggerheads, green turtles, leatherbacks and, rarely, Kemp’s ridley. These species are threatened or endangered, increasing the conservation imperative. There are alternatives to turning lights off altogether. Shields can be placed on fixtures to direct light down, rather than out, and low-lying pathway lighting can be used to illuminate beach entrances. Residents and tourists can play an active role by pulling down window shades. 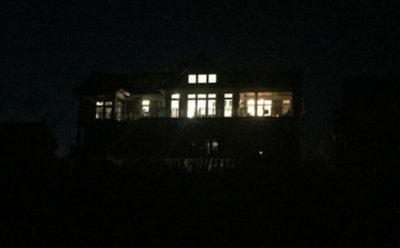 They can turn off oceanfront lights during nesting season, shield them, or add a timer or motion detector. By adopting simple measures, towns and residents can help attract nesting females and increase hatchling survival. Before Windle’s study, it had been well established that artificial light was a concern for sea turtle hatchlings. Hatchlings use the reflection of the moon and stars on the ocean to orient themselves towards the water. This behavior can prove problematic on well-lit shorelines, where hatchlings might mistake a floodlight for the moon. The Atlantic Beach Sea Turtle Project aims to increase hatchling survival despite light pollution. Lamping schedules about 60 volunteers to walk segments of the beach every morning during nesting season. If the volunteers spot a nest, they log it on a global sea turtle monitoring website and build a fence around the nest to protect it. Volunteers check on the nests daily, staying on guard as late as 2 a.m. when they suspect a nest might hatch soon. When the nests begin to boil – a term referring to the appearance of the sand when turtles hatch in unison – the volunteers ensure that the hatchlings reach the ocean. They extend the fencing to the water and stand outside it to redirect errant turtles. 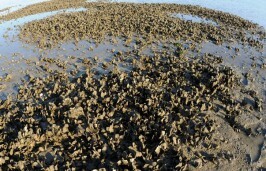 Lamping explained that without the volunteers’ efforts, most of the hatchlings on Atlantic Beach would crawl toward land and die. “So, we’re pretty adamant about trying to find the nests and make sure we don’t miss anything,” she said. Windle was already interested in sea turtles when she joined the MaRRS lab. “When Anna started talking about light as an issue for Atlantic sea turtles, as we were talking through that, it became obvious that that would be a really cool mission for our little rover,” recalled Johnston. 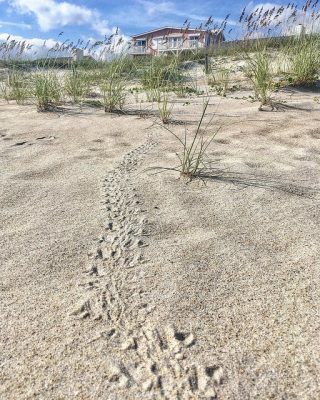 Roughly the size of a nesting female sea turtle, the rover trundles across the beach on large wheels. If it looks like an escapee from Toys R Us, there’s good reason. Doctoral student Everette Newton created the rover from a remote-control car, originally complete with flame decals. Newton and other MaRRS lab members engineered the rover to be compatible with 3D-printed attachments for a range of research needs. Windle attached two light sensors to the rover, one facing the dunes and one facing forward. 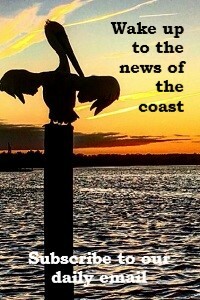 She selected moonless summer nights to conduct fieldwork at Atlantic Beach, Fort Macon and Shackleford Banks. The three sites were chosen to represent bright-to-dark conditions, respectively. Above: Results of the light survey along Atlantic Beach and Shackleford Banks. Points are colored along a spectrum of red to green representing bright to dark. 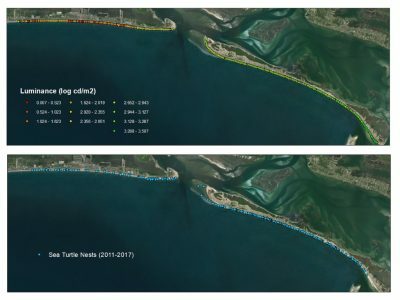 Below: Blue points mark all known sea turtle nests between 2011 and 2017. On site, the rover scooted along its programmed path, collecting light readings about every 200 feet for 6 to 8 miles. The team followed behind to ensure that the rover didn’t detour into the surf. 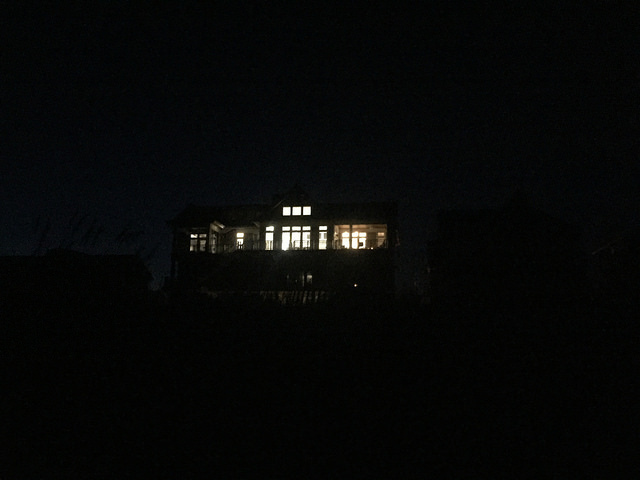 The three sites fell out as expected from bright to dark, but since Windle had collected high-resolution light readings, the maps revealed hotspots of light pollution along the coastlines. Next, Windle used a mathematical equation to determine that there was a relationship between higher light readings and the distribution of sea turtle nests. In other words, darker spots corresponded to more nests. Those results have prompted wildlife managers to rethink the relationship between turtles and light to focus on the nesting females. 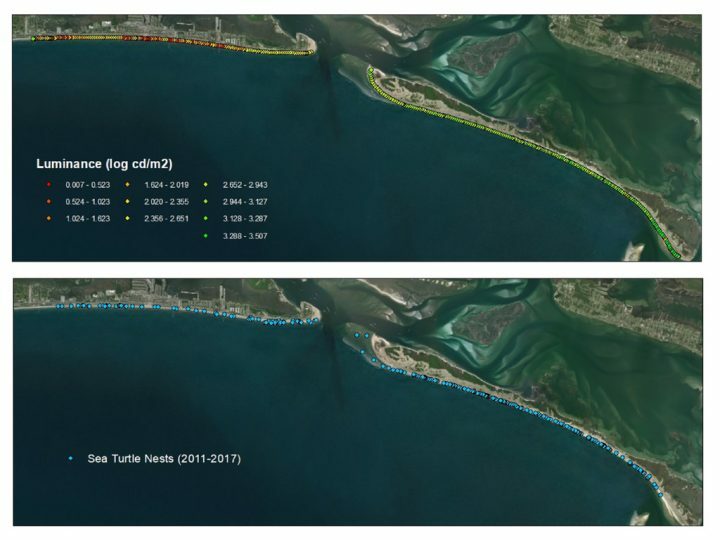 “I would love for other beaches to use this type of technology to quickly and efficiently map out their problematic lights, because it just takes one night of doing this type of fieldwork and you get really highly accurate data,” Windle said. 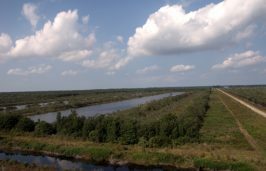 After Windle shared her results with the Atlantic Beach Town Council, Mayor Cooper reported that the town has started considering new ordinances. Atlantic Beach supports the sea turtle volunteers and works with them to encourage residents to turn off lights when a nest is identified. 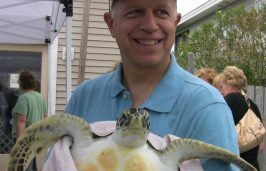 “I think improving our lighting ordinances is the next step to make the beach even more turtle-friendly,” Cooper said. With darker beaches in the works, the future for nesting sea turtles is looking bright. Kathleen Onorevole was introduced to the North Carolina science scene during her graduate work at the University of North Carolina Chapel Hill. As a Master of Science student in Dr. Michael Piehler's lab at the UNC Institute of Marine Sciences, she studied living shorelines' role in coastal nitrogen cycling. Kathleen also has a Bachelor of Arts in Environmental Biology from Colgate University. Her writing has appeared in Hakai Magazine, Coastwatch and the UNC Spotlights series, and she was a founding member of UNdertheC, the UNC Marine Sciences graduate student blog. Kathleen is looking forward to finding the best paddle trails near her new home in Arlington, Virginia.